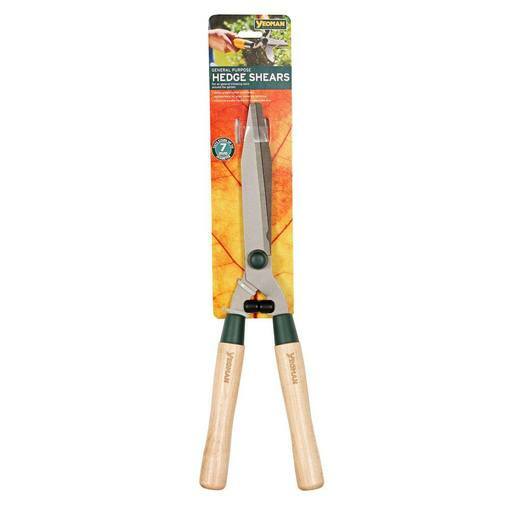 Keep your hedges neat with these sturdy hedge shears. Each sharp carbon steel blade has a wave design for a smoother, more effective cut, and can prune stems up to 7mm thick. 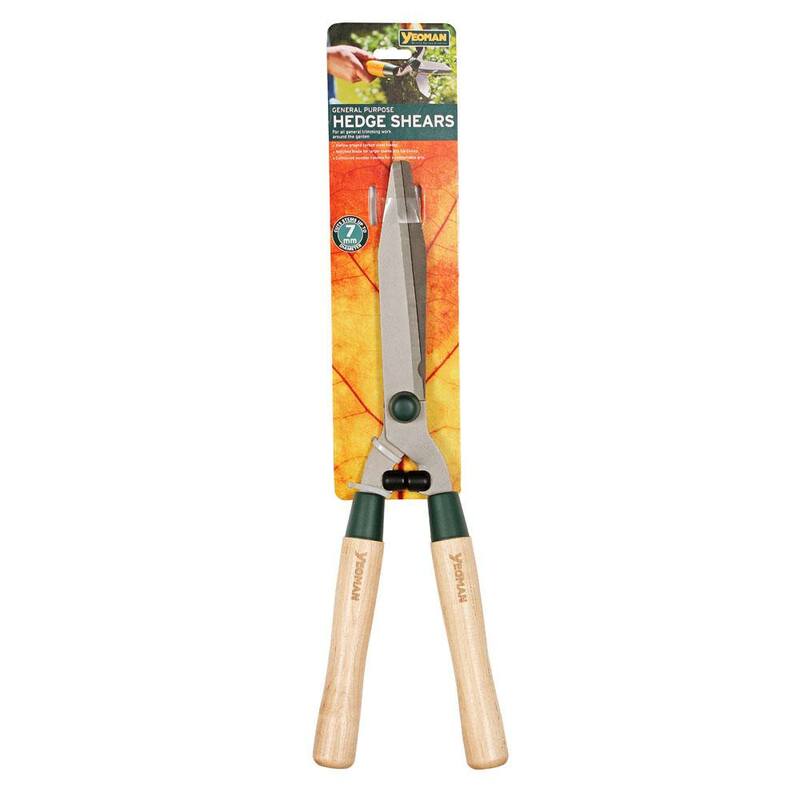 A notch at the base provides the option to cut sturdier branches, whilst the soft grip handles ensure your hands stay comfortable. Length 27cm (including handles).